Mar. 27, 2018 1:30 a.m.
A Vimy Memorial Service, commemorating the 101st anniversary of the Battle of Vimy Ridge, will take place at Surrey Centre Cemetery on Sunday, April 8. On April 9, 1917, the four Canadian army divisions fought as a unified force for the first time, accomplishing what was thought impossible by the British and French forces – they captured the heavily fortified Vimy Ridge, 175 km north of Paris, France. Two Surrey men died at Vimy Ridge. Harry Triggs, who grew up in Tynehead, and Frank Donald Aish of Hazelmere, lost their lives during that battle. 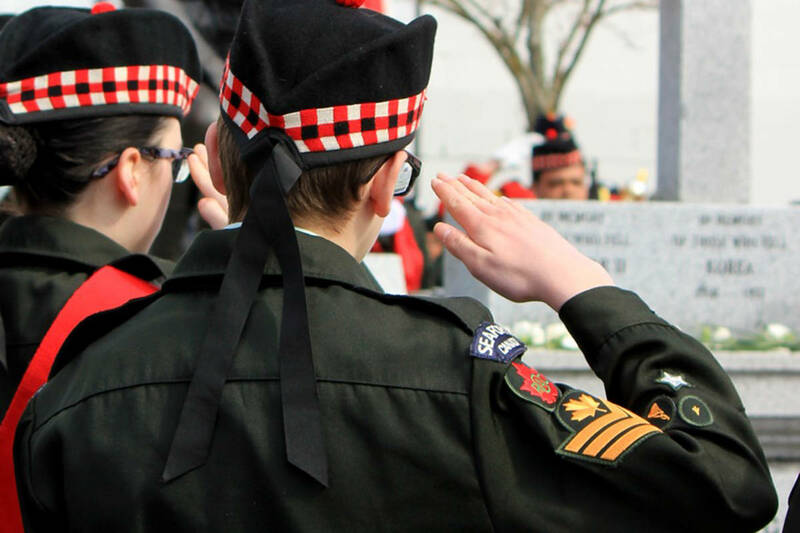 On Sunday, April 8, Cloverdale will remember them. Around 250 army, air and navy cadets will participate in the ceremony, as well as members of the Cloverdale Legion. Members of the RCMP, local fire departments and B.C. Corrections have also been invited to participate. The memorial service will be held in the Surrey Centre Cemetery at the Vimy Ridge memorial oak, located at 16671 Old McLellan Road in west Cloverdale, from 10 a.m. to 11:30 a.m.
Community members are welcome to attend the event. Organizers ask that all arrive at 9:30 a.m., as the ceremony will begin at 10 a.m. sharp.